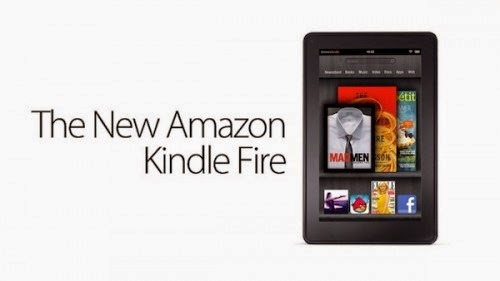 The Kindle Fire — it's just a BlackBerry PlayBook with a big Kindle logo imprinted on its back, right? To help you answer that burning question, iFixit has taken Amazon's brand new Android tablet into the lab and subjected it to the usual teardown treatment. The first major difference between the Fire and the PlayBook is in the port selection: Amazon offers just a 3.5mm headphone jack and a MicroUSB port that doubles up as both a data connector and power intake. There's also a power button sitting next to them and that's all the intrigue you'll find on the outside. No volume controls like on the PlayBook or any other portable device. Inside, you'll find a 4,400mAh battery dominating the Kindle's layout, with the motherboard taking up a fraction, perhaps a third, of the overall space. There are metal plates inserted into the back cover to lend the tablet extra rigidity and strength. The flash memory is made by Samsung, the RAM is from Hynix, and Texas Instruments gets to provide the bulk of other components — including the dual-core OMAP4430 processor. You can see all the gory and detailed pictures of the teardown at the link below. If that tour through the hardware of Amazon tablet model D01400 piqued your interest, you'll also want to know that the Fire has now been rooted as well. Details on how to use SuperOneClick v2.2 can be found at the Android Forums link below, and if you want to experiment with the Kindle Fire yet further, you'll also find the source code for the tablet has now been made available for download. I already ordered mine, did you?